This is Part 2 in a 3 part series about airline distribution. 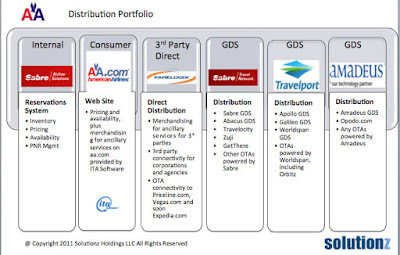 Here we will talk about the web and direct distribution parts of the airline distribution equation. The star in this story is American Airlines. The supporting players are ITA Software (now owned by Google) and Farelogix (lead investor is Sandler Capital). Web distribution is done by building out browser based technology that connects to the airline's central reservation system (CRS) environment. 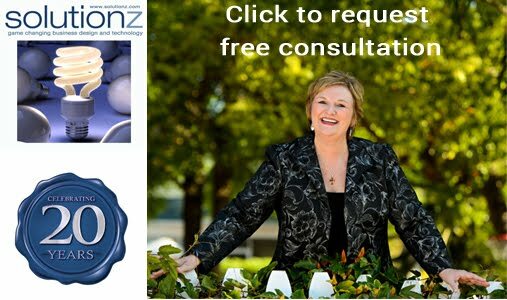 The consumer then has direct access 7 x 24 x 365 to the supplier's products. This work can either be done by an airline's IT shop, an outside systems integrator or they can depend on their multi-host system provider (see Part 1) for this piece. In American's case, they are [currently] hosted on Sabre's Airline System platform, while HP builds their new reservations environment. 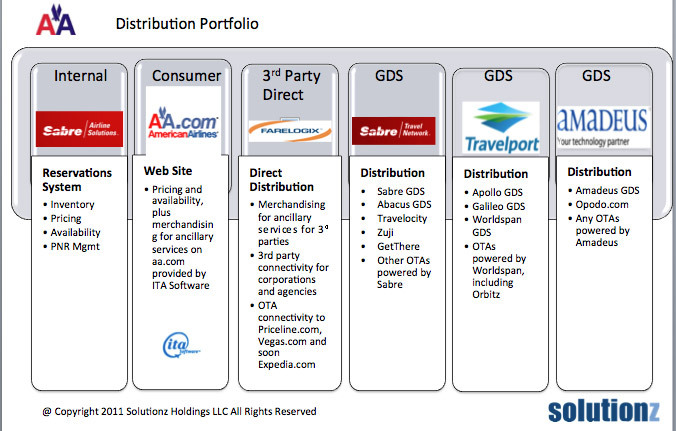 It is easy to confuse this with the Sabre distribution network (the GDS), and while they had the same roots back in the late 70s (and share the same name), over the past three decades they have converged fairly significantly and they definitely do not serve the same function. The CRS is for airline employees (e.g. call center and airport agents) to access information about pricing, inventory, availability and the PNRs of their passengers. 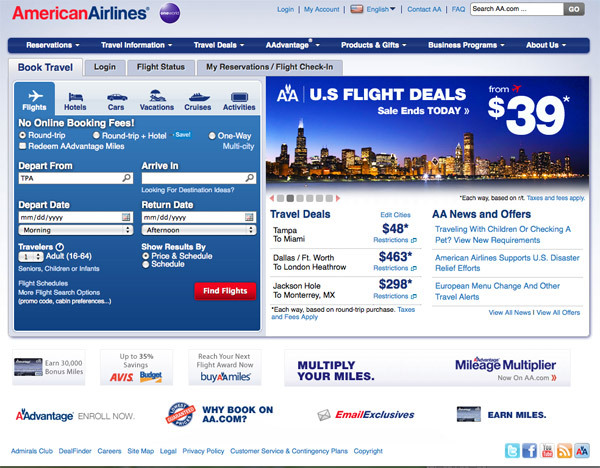 It also houses information about selected code share and alliance partner flights and bookings. And just to confuse things further, for the past three decades, American's CRS has connected to all the major (and even some minor) distribution systems, including Sabre, Abacus, Apollo, Galileo, Worldspan and Amadeus for distribution of AA's products to the travel agency community. This is covered by the Participating Carrier agreement with each of the said GDSs. The AA.com team does their own web platform, as they had to knit together the capabilities of the Sabre system together with info from AA Vacations. 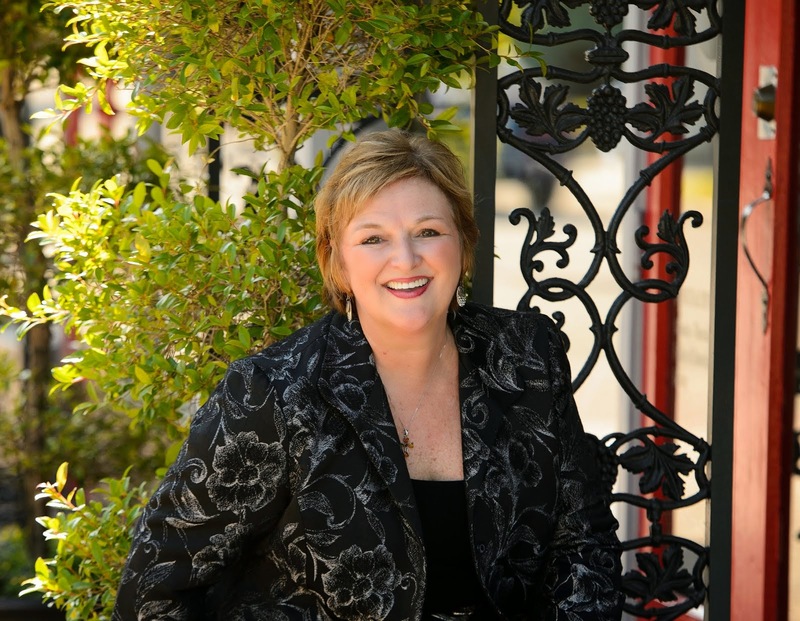 This allows their customers to book hotel, cars, vacations, cruises and activities on their web site. Additionally, they link to their AAdvantage frequent flyer information and also incorporate destination information for the cities that they serve. In the early part of the 2000 timeframe, AA made the decision to use the availability and pricing engine provided by ITA, versus the native capabilities in the Sabre system. This came on the heels of their investment in Orbitz, which used the ITA direct connect technology. ITA Software is now owned by Google. When they made the decision to add ancillary services, such as pre-paying for aisle and window seats and checking bags, that also created a need for merchandising capability that the native Sabre CRS did not support. This is provided by ITA Software and then distributed to third parties by Farelogix. On the AA.com system, this component is invoked after you pay for your ticket. It uses the intelligence gathered from the AAdvantage frequent flyer database, which allows them to make special offers to their best clients. For those who read my post earlier in the week showcasing the Open Axis "cookie" video, this is the showcasing engine for the refrigerated cream cookie. Farelogix FLX platform also extends American's direct distribution capabilities, as an extension to what they provide to their airline customers on the FMS merchandising front. Built on the Open Axis XML standards, any distribution outlet that connects to Farelogix can ask to receive AA's content, including the ability to merchandise ancillary services. That contract is between the intermediary and AA. I could write a whole blog on the distribution side of the Farelogix solution (and likely will - but not today). But suffice it to say that today, in the US, their solution is in use by Priceline and Vegas.com to access the AA product line, including ancillary services. There are others, but they are not yet public. 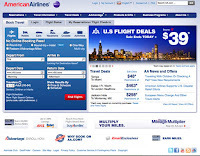 Today, if American only had their CRS, their web site and the merchandising/distribution system platform and did not have any participating carrier agreements with the GDS companies, they would only be able to reach the public through the phone, any city ticket offices or general sales agents (GSAs) that have access to Sabre or via their web platform and the current outlets that use Farelogix. That would leave the 60,000 global travel agencies registered as IATA agencies that are currently linked to the GDS systems with a need to connect to the Farelogix platform. American lists quite a few companies on its Direct Connect Technology Pavillion, including Farelogix' own SPRK platform that can fulfill that need. It isn't exactly plug and play, but at least if the airline pulls out of Sabre (or is nudged out ever so gently), then there are options. Stay tuned for Part 3. Part 3 will be about the traditional GDS network.